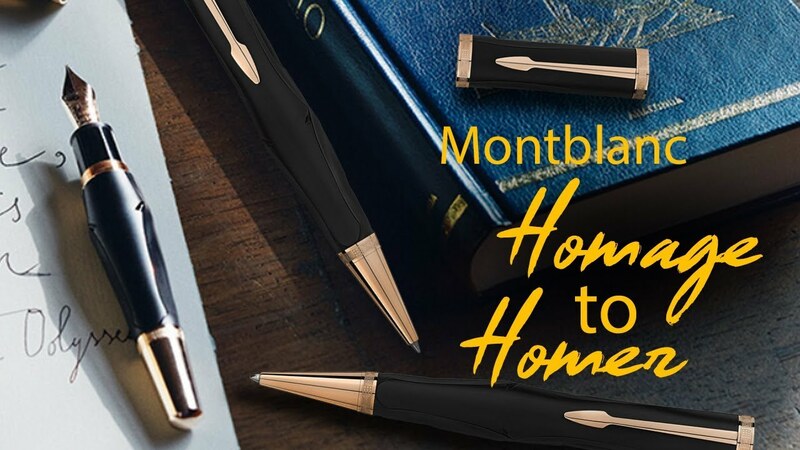 Let's symbolize the victory with Homer Series pensMontblanc Homage to Homer Ballpoint Pen - Writers Edition - Limited Edition 2018 - Black design takes main inspiration from the story of the Trojan horse. The overall shape is inspired by the horse, with the back and clip reflecting the spear. The engraving on the cone and rings borrows motifs from traditional Greek black-figured pottery, with the overall color of the writing instrument taking inspiration from this same black Greek pottery.Use Montblanc Ballpoint Refill for re-using Homer series ballpoint pens that are available in wide range of ink colors.